in 1994 and served in various roles, both domestically and in- ternationally. His experience working with goods movement, alternative project delivery and transportation-related com- mercial investments closely aligns with his role at the Port. 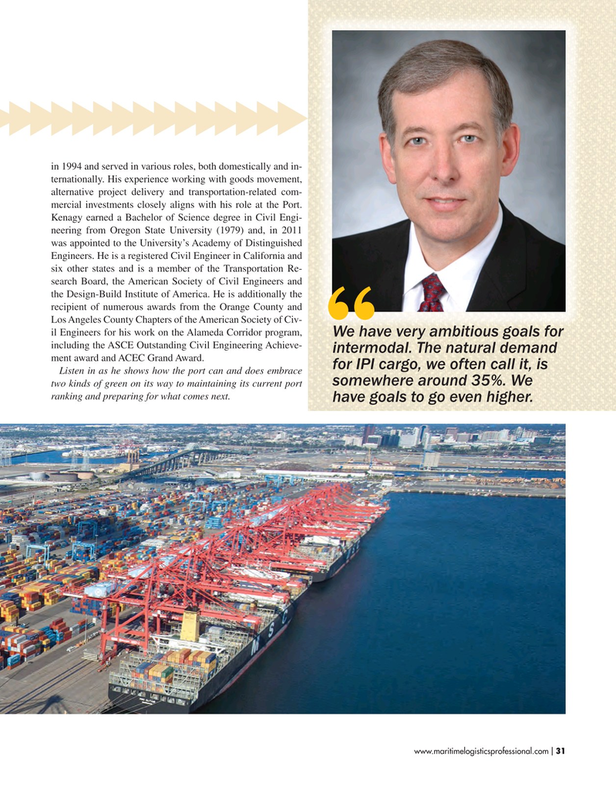 We have very ambitious goals for including the ASCE Outstanding Civil Engineering Achieve- intermodal. The natural demand ment award and ACEC Grand Award.